MS Patients from Pakistan can now register with the Society for Multiple Sclerosis Patients in Pakistan by filling this quick form given below. Our MS Patient database will be used for statistical purposes only. 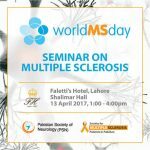 Patients will also be informed about latest research in MS and will be sent the Society newsletter and print materials ocassionally. Yes! We are now a registered charity!